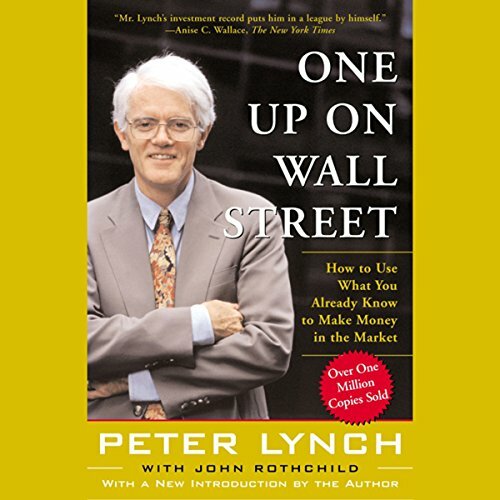 One Up On Wall Street Summary provides a free book summary, key takeaways, review, top quotes, author biography and other critical points of Peter Lynch’s investment book. 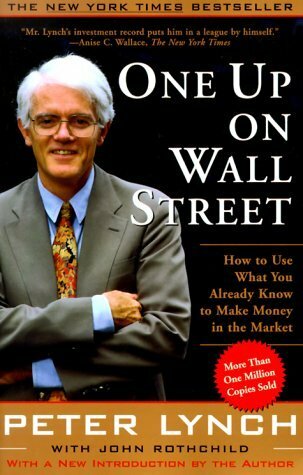 The book One Up On Wall Street is very famous in personal investment literature. And for all good reasons. For one, seeing Lynch sketch Wall Street and its team of investors is fun. He is a leading money manager in North America. His success is because of the feat of Fidelity’s multibillion-dollar Magellan Fund. Though this is an updated version of the content dates to the pre-bubble era of 1989. It gives warnings relating to stocks with extravagant price-to-earning ratios. Caution for the new investors: Lynch is a graduate of Wharton. He is working in the market since his graduation days. As such, he sees stocks as straightforward and simple. Like Warren Buffett, he is a typical value investor who seeks undervalued firms in nuts-and-bolts sectors. But, while Warren buys the companies, Lynch buys the stocks of those companies. One Up On Wall Street is highly recommended for people who manage their portfolios. Why you must invest in firms rather than stocks. Study the firms you come across in your daily life. This is the best way to identify a good stock. Rather than a stock investment, search good firms and invest in them. If you focus on investing in good firms, the stock market fluctuations do not matter. Individual investors have an edge over professional investors. Know the kind of investor you are before investing in stocks. What will be your reaction if the market falls? Firms are of six types: “turnarounds”, “asset plays”, “fast growers”, stalwarts”, “cyclical” and “slow growers”. Group your investment preferences. “Fast growers” and “turnarounds” are categories of fast growth. Seek “tenbaggers”. A stock which grows ten times after you purchase them. Learn a company’s story before investing in it. Don’t ever invest in a firm just because someone brags about it. Consider this: rather than purchasing a Subaru in 1977; you bought the company’s stock for the same price. At that time the stock price was $2. Then if you had sold the same in 1986, your earning would have amounted to $1 million. Great values wait for you in the stock market. The ideal way to get a great stock is through personal experience. Apple Computers, Taco Bell, Volvo, Pier 1 Imports and Dunkin Donuts are only some of the winning stocks. What do you hope to receive when you invest? Is your investment for short-term or long-term? Consider long-term always. How will you respond if the prices fall unexpectedly? Ignore near-term swings. Do you have a home? Buy a house before investing in stocks. Research is the best road to investment success. Gain as much knowledge as possible. Do not invest in stocks; instead, seek successful firms to invest in the stock market. Find a firm you think will put up a superior performance irrespective of the swings. You do not want to depend on macroeconomic factors to save you. If your focus is on successful firms, the stock market will not bother you anymore. Warren Buffett says that for him the stock market is non-existent. For him, it exists only as a reference to check if anyone is doing something stupid. “Slow growers” – These are big, established firms. They are at a stage where they will rise only slightly quicker than the overall economy. “Stalwarts” – Such established firms are relatively dynamic. But they are not very agile. Examples include Procter & Gamble, Coca-Cola, and Bristol-Myers. “Fast growers” – These small firms are rising aggressively. In fact, even at a rate of 25% per year. A few of them can make your portfolio stronger. “Cyclicals” – Such companies have a natural swing in their stock performance. Airlines, automobile manufacturers, defense, tire, and steel are all cyclical. “Asset plays” – These firms have valuable assets. You think you know something about them which the Wall Street has overlooked. Wall Street ignores things many times. “Turnarounds” – Such companies can provide great opportunities. When big firms like Ford and Chrysler face issues, they have the ability to turnaround things fast. Firms change categories over time. So, check your investments to ensure you’re holding what you initially bought. “The next big thing” – If you hear a firm is “the next Microsoft” or anything bright, avoid. Such sought-after stocks rarely hold up. “Diworsefications” – When a firm buys another firm claiming it as diversification, it makes things worse. Merged firms typically do not have the alleged synergies. You may end up paying for stupid deals. “The whisper stock” – If anyone lowers his voice to tell you about a stock, hide. It’s very likely that they represent long shots. Avoid claims which say that they’ll solve a significant issue. “The middleman” – A firm which acts as a middleman and mainly sells to one/two consumers is vulnerable. It can never afford to lose even one consumer. “The stock has an interesting name” – Pick prominent firms with boring names which shun investors. This way there’ll be no one to drive up the prices artificially. Owning a share of the stock means part ownership of a company. The earnings and assets of that company are very crucial to its success. When you try finding out if a stock will grow, you want to know can the company succeed. A stock is an actual investment in a real firm which has actual earnings. It is not a child’s play. Before buying a stock, you must know why it excites you. You can give this explanation to yourself or someone else. But, you must be capable of explaining why you want to do it. This way you’ll be sure you know the firm’s values. Investors who use brokerage services usually don’t insist on getting full-research – like P/E ratios etc. – to support their claims. Even if you’re not working with a broker, the details you need are easily obtainable. Of course, rumors are very fascinating. Hence, overhearing a gossip in an elevator draws more attention. Even a firm’s quarterly reports can’t bring this much attention. Another way to receive data is by studying the annual report. Seek three things. Firstly, find the firm’s net cash position by deducting long-term debt form current assets. The higher the surplus, the better. Divide this by some outstanding shares. You will get the net cash value/share. This is the floor of that stock. It will never go that point below. Secondly, compare the assets with the debt in the firm’s balance sheet. If the shareholder equity is said $20bn, and long-run debt is $2bn, this means debt is 10% of equity. A typical balance sheet has around 25% debt. Check if the number of outstanding shares is rising or falling in the past few years. This will tell you if the firm is buying back its stock, which is a great sign. When studying your potential investment firm consider: pension plans, cash flow, growth rate, and inventories. Also, see if insiders are buying many shares and the proportion owned by institutions (the lesser, the better). Once you invest, follow the firm’s story every 2-3 months. The firm may enter a new stage in its lifecycle. Or the trends of the market might change. “It is already so down; it won’t go any lower”. You can never know the lowest point of stock like you can never know its pinnacle. People who think they can are foolish. “You can tell when a share hits rock-bottom”. Only because a stock has fallen to enormous levels, doesn’t imply it will not drop any further. It may always be. “If the stock is this high, then it won’t go any higher”. No artificial limit decides how high a stock may go. “It is just $3 per share; how much can I lose?”. The clear answer is $3 per share. Such a mindset is not right. A loss, regardless of its size, is a loss. Prevent them. You do not want to invest in losers. “They will come back ultimately”. Some firms never return. “The time before the dawn is always the darkest”. You require more solid grounds because things can get even darker. “When it gets back to $10, I’ll sell”. You should try to sell immediately. By setting artificial targets like this, the stock is unable ever to achieve it. You may end up with under-performers for a long time. “I don’t worry. Conservative stocks do not swing much”. It is possible for anything to swing these days. There are no guarantees. Don’t be content about your portfolio. “It’s been so long, but nothing has happened”. Be patient. The day after you are fed up with waiting and sell is going to be the day the prices soar. “Look how much I’ve lost: I should have bought it earlier!”. You’ll not lose money if you postpone buying. If you think like this, you’re likely to turn desperate and err. “I should not have missed it. I’ll try to get the next one.” If you miss it, let it go. “The stock’s high, so my predictions are right.” Don’t ever decide on swings. Only because a stock changes, doesn’t imply your predictions were right or wrong. Only time can tell this. One Up On Wall Street is a beneficial book for every individual who wants to earn the knowledge about the behavior of stocks in the financial market and what is the best way to select the securities’ best portfolio. The writer of the book has shared his real-life experiences in the book and told the audience that how he dealt with and how he felt about the success and losses when investing in the stock market. We like the book, and seemingly the author has made such difficult concepts and terms so much easier. 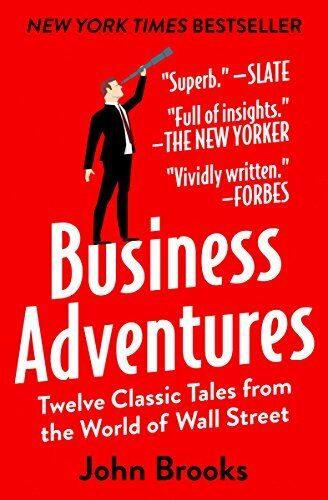 Initially, We picked the book after reading so much about the investing style of Warren Buffett as We wanted to explore the investing style of some other as well. 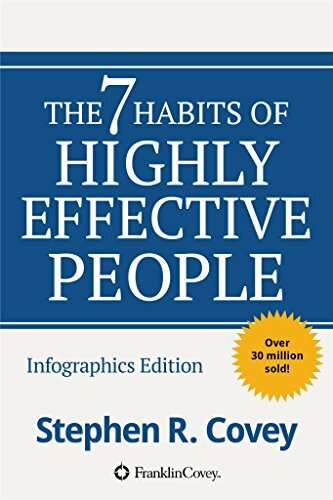 Although the book was a good read, it was specific to the style of one single personality where the author explained how he developed his success strategies. While the book is perfect to read, it is specific to the personal investing style of the author. The experiences of the author are dated enough that makes it inapplicable entirely and anymore as the financial markets are emerging day by day. Hence, it is better to classify the book as the history or biography of the investing style of the author. There is the forward written in the book in which the one update has provided by the author to his material, but, We think, there should have been more such updates so that the book could be entirely classified as the guide on making the personal investing decisions. The good thing about the book is that it is easily understandable for non-financial people because everything is described easily. Peter Lynch is the vice chairman of Fidelity Investments. He was also the portfolio manager at Fidelity Magellan, one of the premier funds in the world. Lynch is a board member of Fidelity Funds. Besides One Up On Wall Street, he even co-authored Beating the Street and Learn to Earn. Do you have any comment on One Up On Wall Street Summary? Please feel free to share your comment with us. In the stock market, there is a variety of options and the best ways to find the choice is to make the decision based on the personal experiences. The benefit of personal experience is that it makes more essay to find the alternate strategies. My personal experience says the low price items are often low-quality products. Yes, you can find great investment opportunities just near you! That’s the tenbagger Peter Lynch describes! If you want to understand more about Warren Buffett investment philosophy, you may refer to The Warren Buffett Way Summary. In the real life, the important factors are to facilitate yourself with the basic needs of life instead of having an investment in the stock market. I want to know about macroeconomic factors that are often considered by some successful firms. What should be conditions of investment in the stock market, for instance, the minimum requirement to initiate the investment in the stock market? Actually, it is not too difficult for us to learn how to invest. For me, I always refer to the investment bible – The Intelligent Investor for investment knowledge. You may find The Intelligent Investor Summary helpful. Thanks for your comment. For more book summaries, you may visit the Latest Summaries!